I've been a little busy and this here blog has been a little neglected. I have tried my best to keep up with my blog reading but I think that I might be following a few too many! One of the great things about blog reading are the great giveaways available. 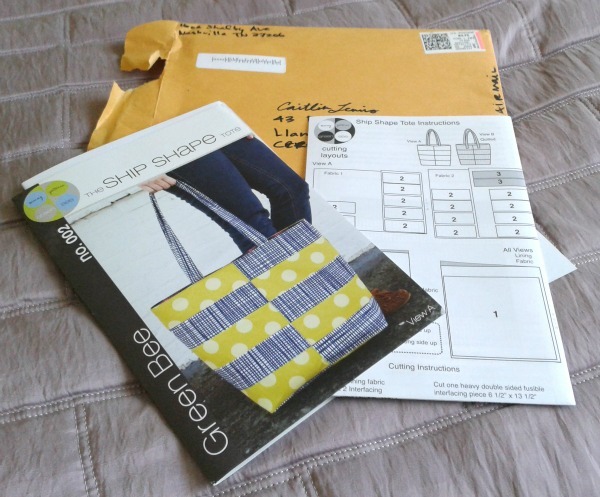 Who can't resist the opportunity of winning some sewing related goodies? Not me that's for sure. So in the nearly three months that I've been reading blogs (and trying to write one) I've actually scored three wins! The first was on the first British blog that I found - the oh so famous ginger monkey if I remember correctly I actually found her through the MicroMod Sew Along and low and behold, I didn't just go ahead and win! 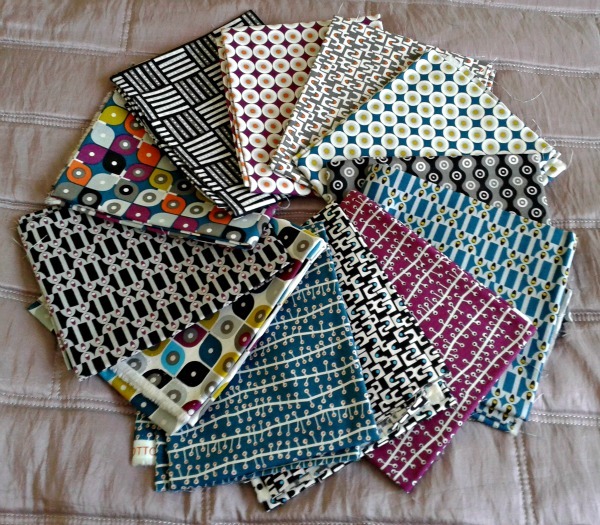 She was giving away a FQ bundle of MicroMod and I just love this line of fabrics. 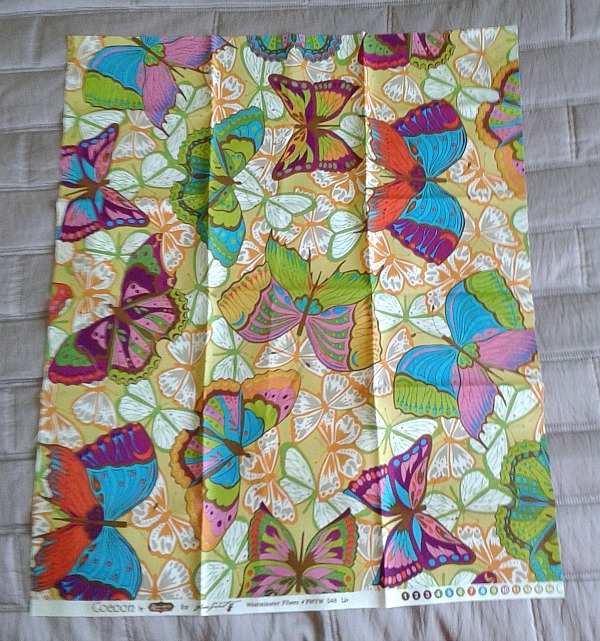 As I was going away in May I asked her to hold off sending the winnings to be and then things got delayed etc and when I received the fabric I clean forgot to take a picture and share it with you. 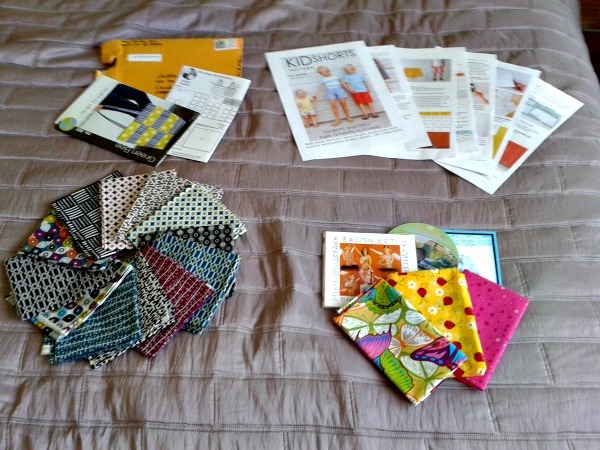 What I'd completely forgotten about was the pattern that was included in the giveaway. Until it landed on my door mat last week! I think that the idea is that your supposed to make the Ship Shape tote out of the Micro Mod bundle but I don't need a bag quite this big at the moment and I have other plans for the bundle. My next win goes to show linking up to linky parties really does pay off (and replying to the comments that you might get as a result). I linked up to Sunday Stash over with Fiona at Finding Fifth, someone left a comment asking about my Liberty find and a new friendship was born. Mara over at Sectretly Stiching noticed that I'd used some Cocoon in Cadi's Quilt and mentioned that she had some up for grabs on her blog. Well, I didn't only go and nab this one as well! The parcel arrived safely on Friday (you can stop worrying now Mara!) 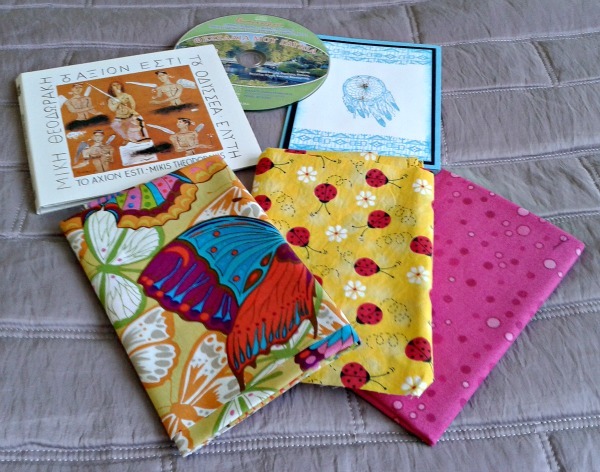 As well as three different lovely fabrics Mara included some Greek music and a lovely handmade card. I haven't had the chance to listen to the CD yet (I put it in the car ready as soon as I took these photos this morning) but I love the fabric! I really need to fatten up my stash and add some variety so these have helped out tremendously. And isn't the Cocoon that started it all great? Look, if I waited until I'd ironed things before I took pictures this blog would be a pretty barren place, okay? And then yesterday I got some more happy mail! Carla of small + Friendly fame emailed me to let me know that I'd won their Shorts on the line giveaway! 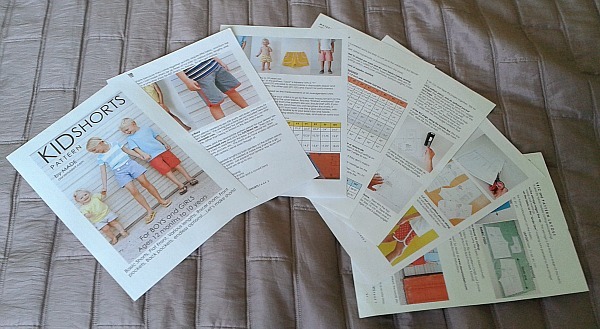 I then got an email from Dana at MADE with the KID shorts pattern attached. I've been meaning to make some shorts for Anwen for a few weeks now and the Shorts on the Line blog hop has given me so many ideas. I had the material all ready but just needed a pattern so it didn't take me long to print it out. The weather has been unseasonally hot these last few days (I mean over 20 degrees in July? Unheard of in Wales) and Anwen's paltry three pairs of shorts seem to live in the washing machine so I need to get a move on with this. All I need now is for Anwen to come home from school so that I can measure her and work out what size I need to make. I took a few pics and they were all blurry - this was the best of the lot? That's quite a run of luck you've been having - you'll be rivalling Hadley (Flying Blind on a Rocket Cycle) soon, she seems to win everything ;o) I'm sure she has an extra store of luck hidden in her loft and it seems you might, too! For a minute there you had me going that the customs had taken the chocolate, your sneaky ;) I am glad everything arrived safely.